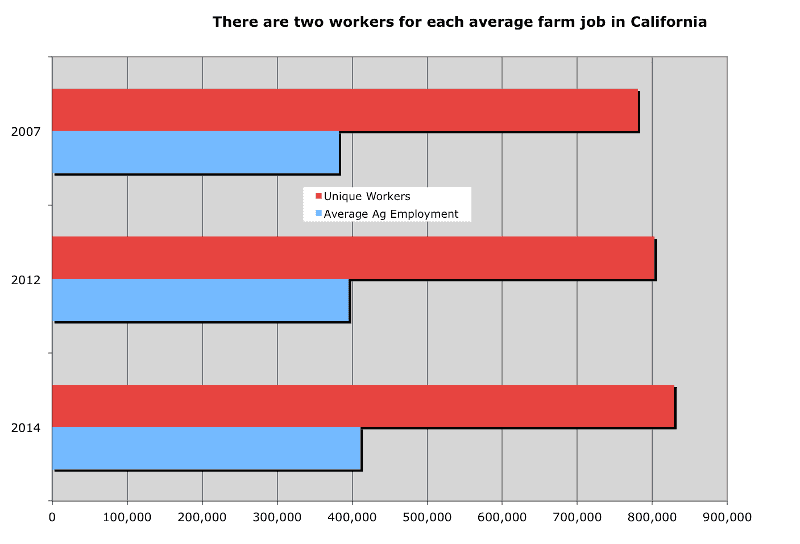 The average employment of hired workers or the number of full-time equivalent jobs in California agriculture has been rising, and was 410,900 in 2014. The total number of workers employed for wages sometime during the year is twice s high, 829,300. The two-to-one ratio between total workers and average jobs was similar in 2007, 2012, and 2014.